Illinois 2nd District State Representative Theresa Mah serves the McKinley Park and nearby neighborhoods in the Illinois General Assembly. A daughter of immigrants, Mah cemented her community involvement through local activism and leadership, and in January 2017 began her service as Illinois' first Asian-American legislator. 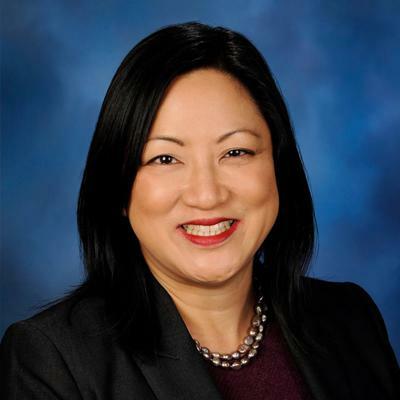 Connect with Representative Theresa Mah and her 2nd District service office by visiting 2108 W. 35th St., calling (872) 281-5775 or by emailing rep.theresamah@gmail.com. Theresa Mah is the Democratic State Representative in the 2nd District of the Illinois State Legislature, a district that includes large portions of the Bridgeport, Chinatown, Pilsen, and McKinley Park neighborhoods. A former college professor with a Ph.D. in American history and teaching experience in ethnic studies, Theresa first came to Chicago for graduate studies at the University of Chicago over 20 years ago. She has been a homeowner and community resident in McKinley Park for almost 10 years. As a senior advisor in former Governor Pat Quinn’s administration, Theresa gained valuable insight and experience in state government. She worked with legislators, Cabinet members, and co-workers at state agencies on efforts to improve diversity and minority representation in state government. She worked with advocacy groups on issues such as immigrant rights, voting rights, and language access. She has been involved in the legislative process as well as the implementation of policies supported by Governor Quinn. Prior to her position in the Governor’s Office, she spent several years working in the area of immigrant rights, initially with the Illinois Coalition for Immigrant and Refugee Rights (ICIRR) and then in the Chinatown community and to improve the conditions, community resources, access to elected officials, and voting power of the immigrant community there. Working with a coalition of community organizations that made up the Coalition for a Better Chinese American Community (CBCAC), she was instrumental in efforts to increase voter registration, voter education and turnout; increasing the voting power of the Chinese American community through redistricting; advocating for a new Chinatown library and field house; preventing the closure of the Chinatown Post Office; and educating community members, including seniors, parents, and youth, to become more involved in lobbying their elected officials on various issues. Her activism and community involvement continues to the present as she currently serves on the UIC Task Force to support educational opportunities for undocumented students. She is an elected Community Representative on the Local School Council at Thomas Kelly High School, where she has been a strong proponent of bilingual education, civic engagement, and the pursuit of higher education. She is also active with Bridgeport Alliance on the effort to restore CTA bus service along 31st Street. She serves on the Advisory Board of the Chinese-American Museum of Chicago, and is member of the McKinley Park Progressive Alliance. Theresa’s election to the 2nd District legislative seat made history. There has never been an Asian American in the Illinois General Assembly. She is the first Asian American to serve in the state legislature in Illinois, but her commitment is to be a unifying leader who represents all 2nd District constituents in Springfield.